Both United and Celtic made three changes from their previous games for this Scottish Cup Quarter Final. Butcher, Rankin and Connolly were drafted into the first eleven with Telfer, Spittal and Erskine all dropping out. 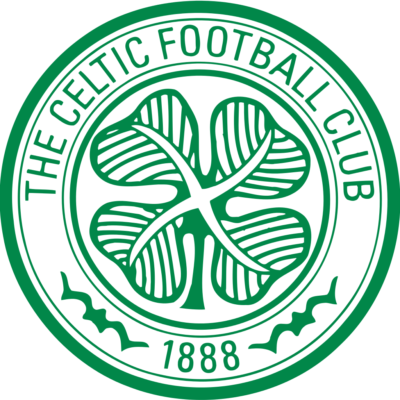 Izaguirre returned to the Celtic defence following a hand injury and midfielders Bitton and Forrest came into the side. This was the first of three consecutive games between the sides over the next three weeks. There was a scrappy start to the match before it burst into life after 8 minutes. It started when Celtic skipper Scott Brown flew two footed into striker Ciftci just inside the United half. As the pair tussled, the ball broke free and and Van Dijk crashed into an ugly challenge on Calum Butcher. Both Butcher and the Dutchman struggled with each other as they attempted to get back to their feet. Paton and Dillon arrived on the scene just after and while Dillon attempted to break up the confrontations, Paton protested to the referee. The stand side linesman and referee took plenty of time to discuss the incident but incredibly it was Paton and not Butcher who was shown a straight red card, along with Celtic's Van Dijk. The double sending off looked to be better news for United as with Celtic's influential central defender missing, United took control of the first half. It wasn't until the last ten minutes of the opening period before Celtic began to gain a foothold in the match. United had a great opportunity when Brown fouled the energetic Butcher right on the edge of the penalty area. Ciftci tried to pass the resultant free-kick low into the corner of the net but it scraped just wide of the post. In the 42nd minute, Stefan Johansen fired a shot from 20 yards that Cierzniak did well to palm away. The post then came to the rescue of both sides. First a Butcher's shot from 18 yards was diverted against the post by Ryan Dow. Then Anthony Stokes, who was clean through on goal rolled the ball against the post. With the half-time whistle pending, Connolly weaved into the Celtic box and was brought crashing to the ground by a glancing challenge by Stokes. Thomson pointed to the penalty spot and Nadir Çiftçi slotted the penalty low into Gordon's right-hand post. The second half had only barely settled down when there was more drama. James Forrest's found himself in acres of space and fired in a goal bound shot that was blocked by Dixon with the aid of his arm. 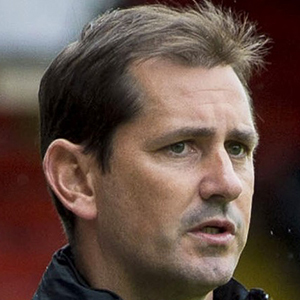 Celtic were awarded a penalty and Dixon ordered from the field. United fans were ecstatic when Cierzniak dived to his left to save Griffiths's well-struck penalty shot. United then opted to move to a 4-4-0 formation and defend their single goal advantage. Queue wave after wave of Celtic attacks that for the early part of the second half were quashed. Cierzniak as the last line of defence was having a stormer and he made some fantastic saves to keep United ahead. However, after 71 minutes he was finally undone. Griffiths shook of his marker and carefully nodded a Johansen cross back across the 'keeper into his far corner. Many expected United to crumble at this point, but they stayed focused and continued to deny Celtic the winning goal. Butcher had the best of United's precious few second-half chances as he made a powerful run into the box, but had his shot saved by Gordon. 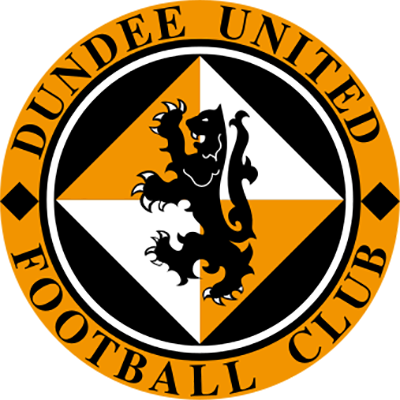 After 5 minutes of stoppage time, United players could breath a huge sigh of relief knowing they had survived the second half barrage and lived to fight another day in this Scottish Cup campaign. "It was strange that the initial challenge didn't get dealt with by the referee. The initial challenge on Nadir was a bad one. I feel sorry for Paton, but I'm proud of the players, how they responded. We will appeal the red card as Paul Paton was not involved in the incident. I also don't think Aidan Connolly dived. I think Anthony Stokes' thigh has put him down." "Never thought we would survive the second half playing 4-4-0. Especially as we have struggle to defend all season. However, the lads were terrific out there today and deserve another chance at this tie, this time with 11 v 11 if possible. Rado was magnificent in goal and Butcher was so energetic. He was everywhere. There are so many psychological aspects to this now four game epic with Celtic. Therefore, going into the Cup final still in the Scottish Cup and having put in such a battling performance can only help both the players and fans go into next weeks game with great confidence. Proud. " I know it is a case ot stating the obvious, but we will have to play a whole lot better against Celtic than we did last week when going down to Partick Thistle. 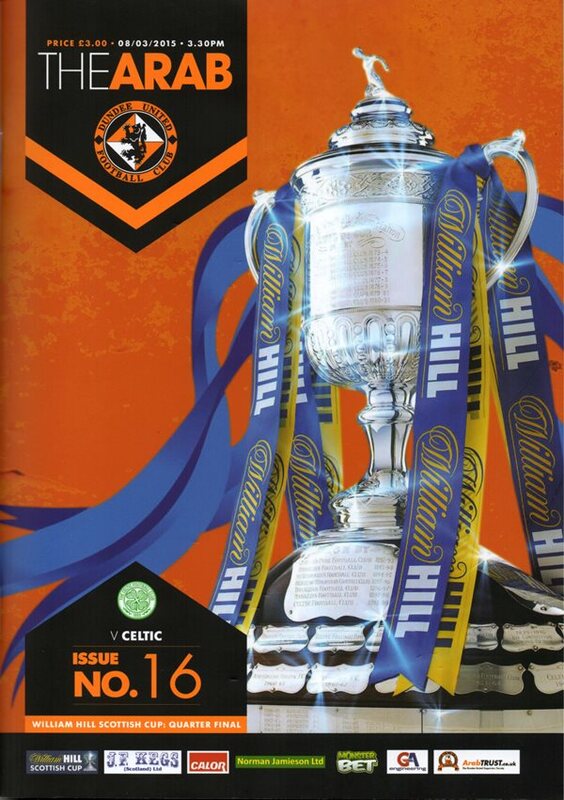 But as I have stated several times in the programme, the reason is it sometimes suits our lads being underdogs. Yet. when the expectation is there as it undoubtedly was against Thistle last week and St Johnstone the previous Saturday we have handled it poorly. Sandwiched between those we showed a different side to our game with a fighting draw in Inverness. Against Partick, I felt that one or two were still showing the effects of that hard shift against Caley Thistle. It was quite a poor performance with too many not at the lop of their game. It was very disappointing because I had wanted the same energy and commitment as Tuesday night and didn't get that. There were really only a couple of positives that we could take from the game. One was Rado's reaction, handling his return to the team well. The second one was Mario Bilate returning to action for the first time in almost four months. His arrival gave us a little lift and his excellent through ball put Henri Anier in on goal, but he couldn't finish. Not that you could blame him because it was down to the state of the pitch rather the lad's touch and finish. Of course, Mario's return couldn't be timelier with the threat of suspension hanging over Nadir at the time of writing these notes. With Nadir out of the League Cup Final, Mario was in my thoughts, but now potentially also this afternoon. He has to be because, if found guilty, Nadir will miss all our games this month, which is ridiculous, given of what he is accused of. Whilst we are hopeful that his appeal will be successful, I cannot say that I am confident in view of past such situations regarding Nadir and Paul Paton. No matter what, we must move on and be positive. Hopefully, we will be boosted by the return of Callum Morris and Calum Butcher. Callum Morris has a fighting chance. He has had an injection in his thigh and is reacting well and we are hoping that he can be involved. There is, however, no worry over Calum Butcher. He was just rested last week after putting in so much effort against Inverness and is ready to return. With so much at stake. I am sure the lads will rise to the occasion as they will undoubtedly hove to do it we are to reach another semi and give us a boost for the following week's cup final.